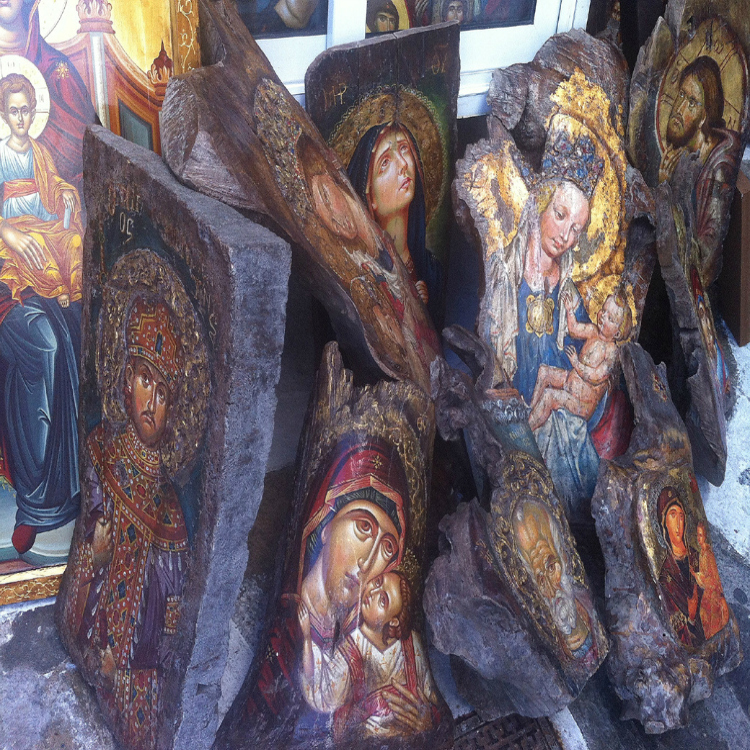 Whilst getting lost in the weaving narrow lanes of magical Mykonos we spotted some amazing religious paintings on large, dark hunks of wood! I say spotted, but the artworks were a bit unceremoniously piled up outside of a small shop, right across our path. As we sidled past them the gold paint lit up and the varnished surfaces shimmered in the bright sunlight – up close we could see that these were accomplished, delicate and intricate portraits, which was in sharp contrast with the twisted and heavy wood that they were painted upon! … although possibly not the lightest of items to pack in your suitcase! !